Name: Mário Lúcio Duarte Costa "Aranha"
Last edited by rafzin on 2010 Feb 10, 02:45, edited 3 times in total. Is he that slow? One of the slowest players in Brazil (and probably in the database). i don't think, he is slow, but not that. Suggest some updates. Yeah, maybe reasonable, BUT, his "respontional" sense isn't the same of Carini. His Positional sense is higher than Carini's one, wich is not what I see in the posts. BTW, both GKs have almost the same abilities, isn't the time to update Aranha? For example, Ment, GK Skills, Response, if not equal, they are almost the same, and I don't think that it's true. tamaguchi_japa wrote: what do u suggest? 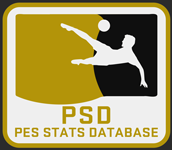 I'll test some "numbers" in PES that real approach him and soon I post here or MP you! As promised, after exaustive tests and modifications, this is how I see Aranha this season. Last edited by Folgore! on 2010 Apr 22, 14:52, edited 1 time in total. Wait for more agrees to post the new set? Hehehe... Thanks then, and sorry!